More than 200 Chicago police officers were honored for going above and beyond in the line of duty. 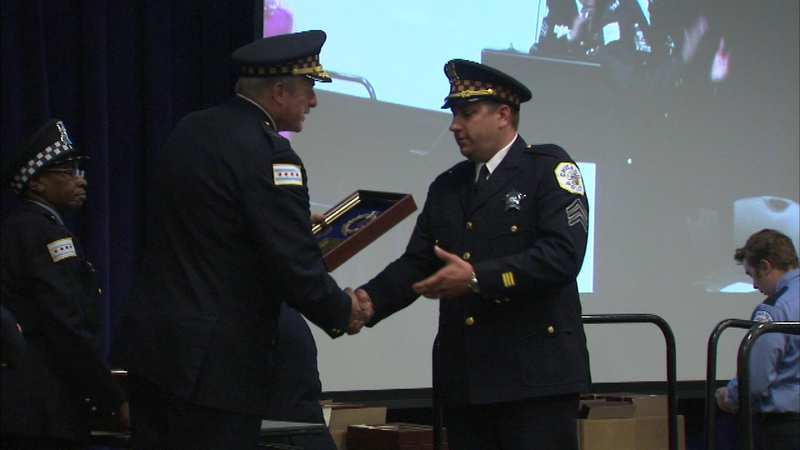 CHICAGO (WLS) -- More than 200 Chicago police officers were honored for going above and beyond in the line of duty. The awards of merit and special commendation were handed out at a ceremony Tuesday morning. Among those are 11 officers were recognized for their work in confiscating weapons and drugs in a bust in Rogers Park. Two officers were also commended for finding and arresting a suspect who robbed several businesses.